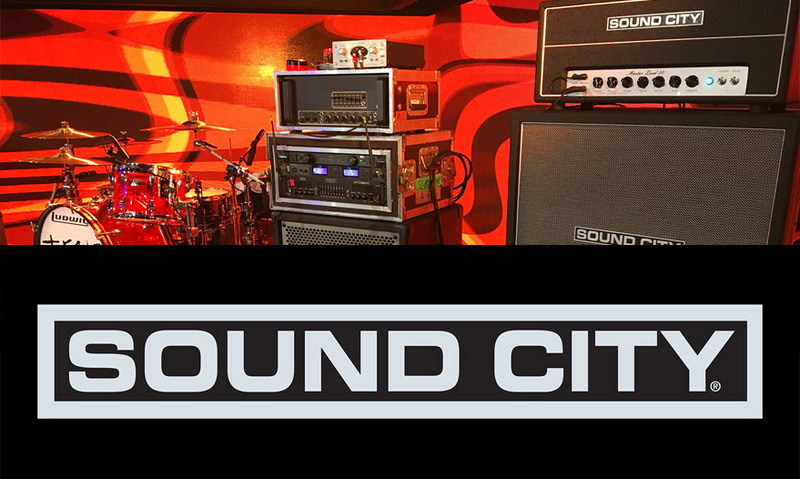 Unveiled at summer NAMM 2016, Sound City is back with the new Master One Hundred and Lead 50 guitar amplifiers and speaker cabs. Some of the coolest old vintage amplifiers out there, they are the immediate predecessors to early Hiwatt amp designs. Responsible for the resurgence of the '70's classic is none other than amp guru Steven Fryette (Fryette Amplification). The new, classic-sounding amps have been designed in line with Dave Reeves' original vision for high-headroom amps and fullness of tone, they of course feature Fane Ascension speakers built to similar specs as the original Sound City speakers made by Fane. To hear the new amp in action watch Reverb.com's interview below with Steve Fryette on the Fane Acoustics / Fryette booth at Summer Namm 2016.